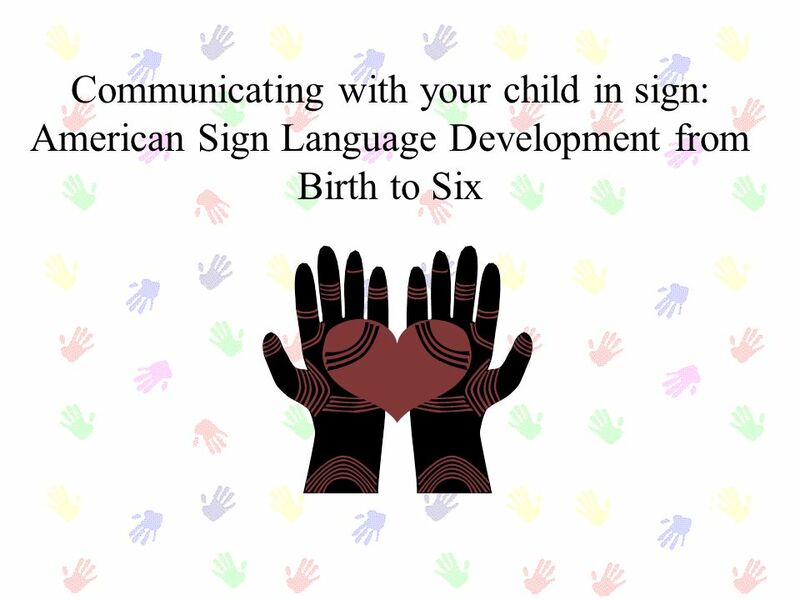 Product Title:Communicating with your child in sign:American Sign Language Development from Birth to Six Age of Intended Audience: Parents/Guardians/Caregivers. 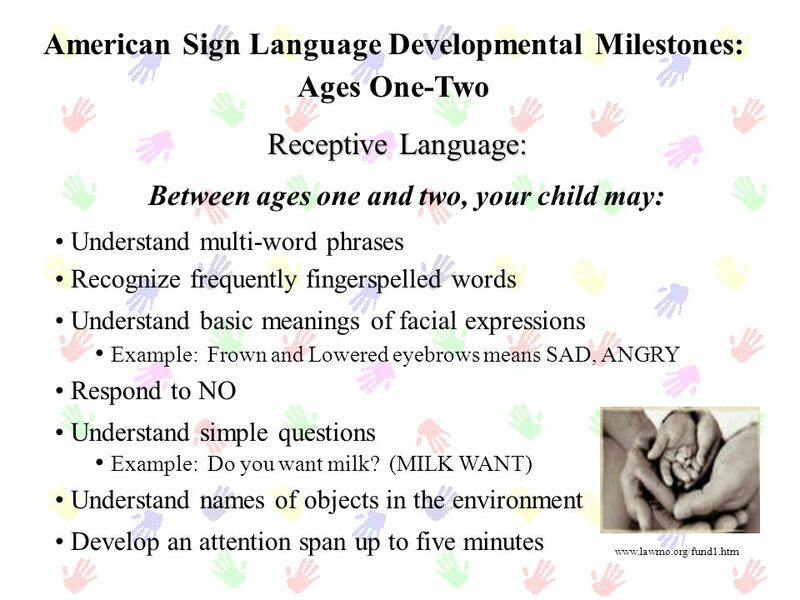 1 Product Title:Communicating with your child in sign:American Sign Language Development from Birth to Six Age of Intended Audience: Parents/Guardians/Caregivers of Deaf or Hard-of-Hearing Children (Ages will vary) Product Goals/Objectives: - To provide information to parents/caregivers who are curious or interested in American Sign Language as a language option for their child and family To discuss language development of children who have consistent models of American Sign Language Abstract: This tool was developed in a flip-book format, one side being the English version, and the other side being the Spanish version. 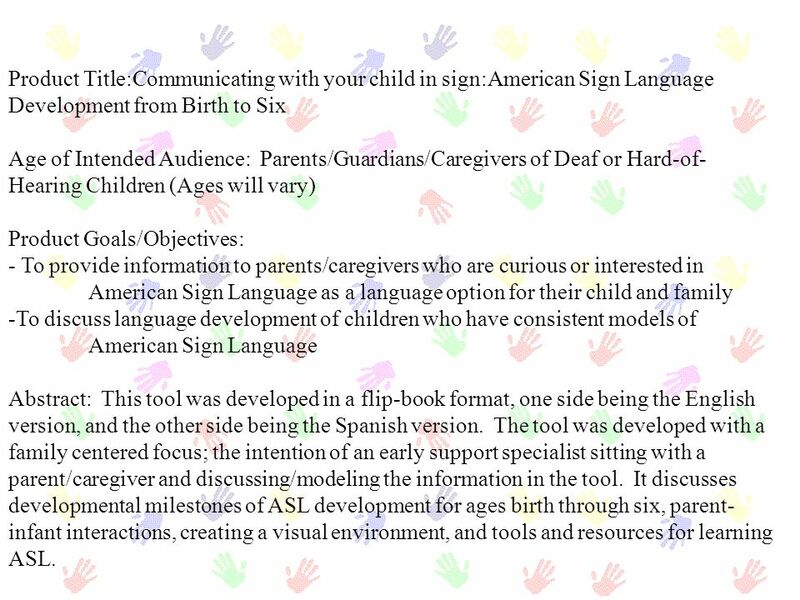 The tool was developed with a family centered focus; the intention of an early support specialist sitting with a parent/caregiver and discussing/modeling the information in the tool. 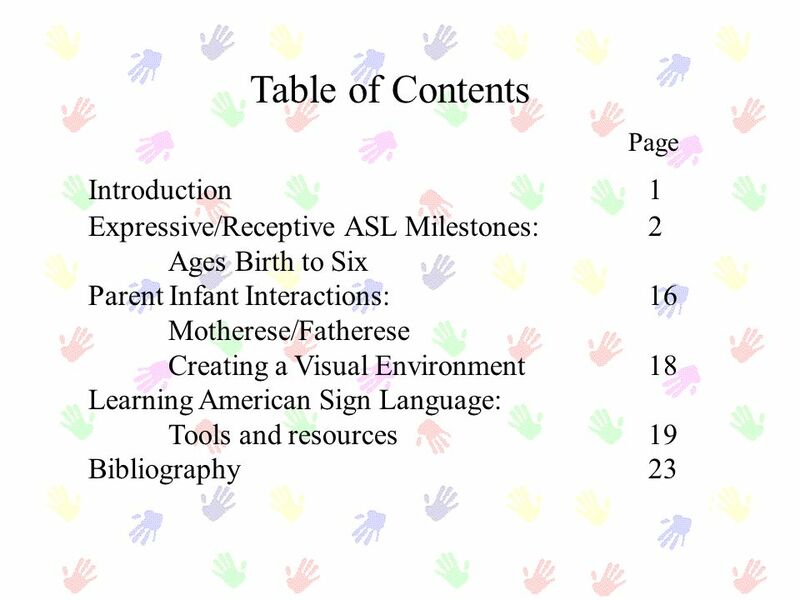 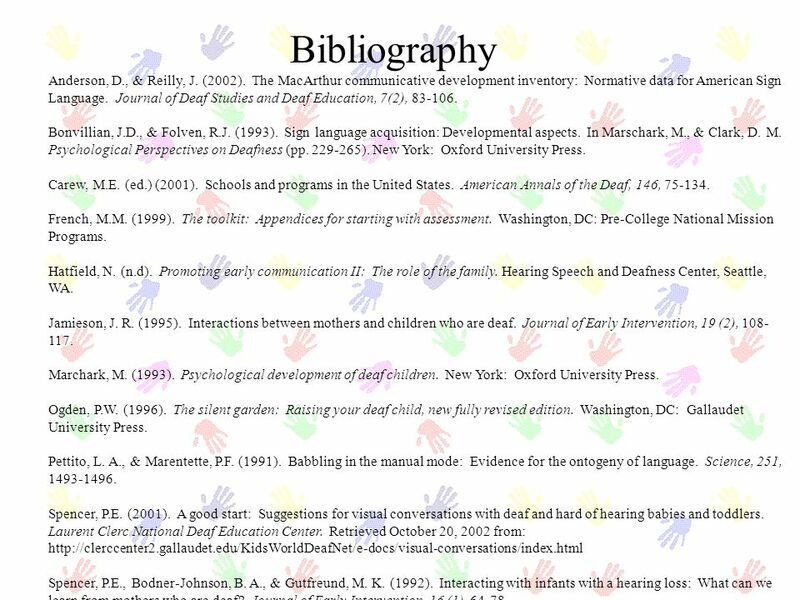 It discusses developmental milestones of ASL development for ages birth through six, parent-infant interactions, creating a visual environment, and tools and resources for learning ASL. 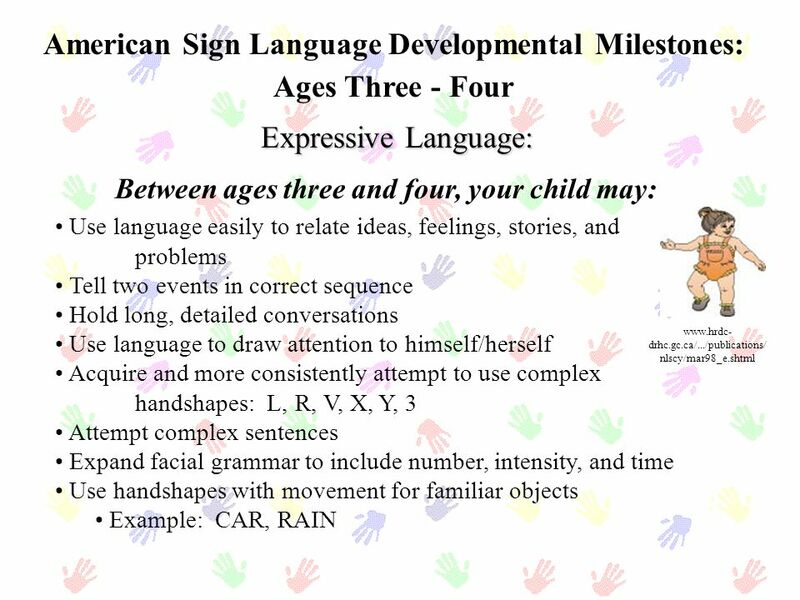 4 Introduction Language development is influenced by many factors. 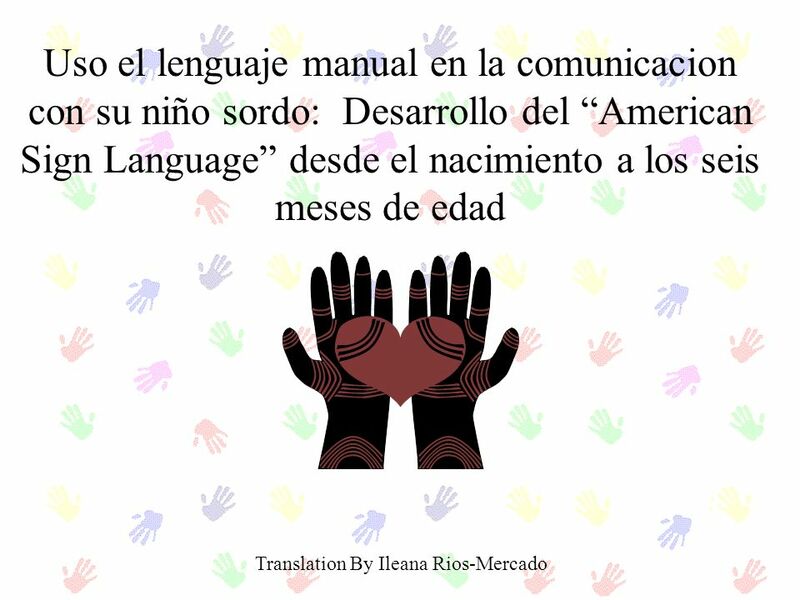 Among them are access to language, and parent-child interactions. 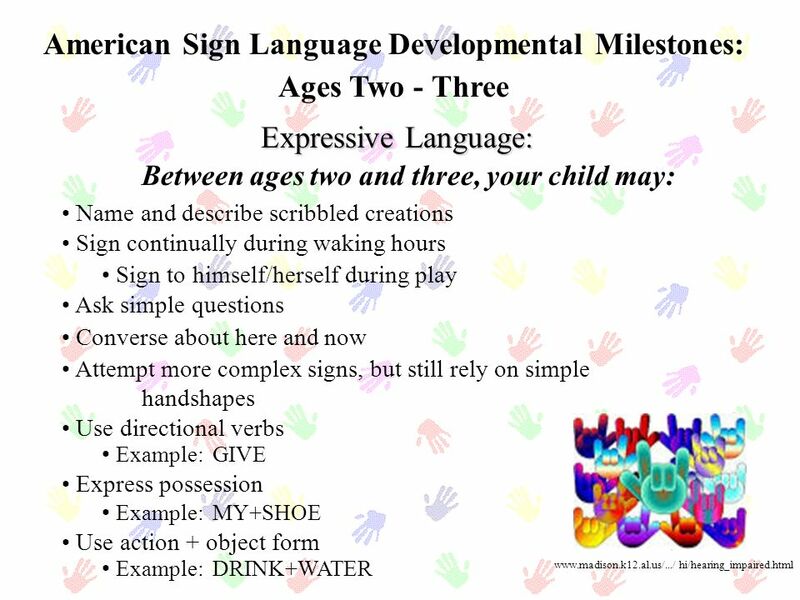 You are instrumental in your child’s language development. 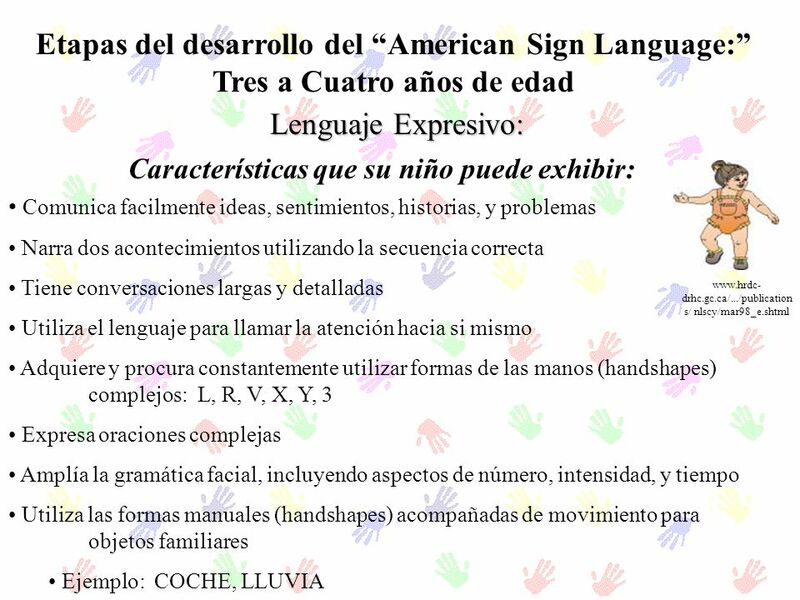 Many deaf children are visually oriented, and may learn language more effectively through visual means. 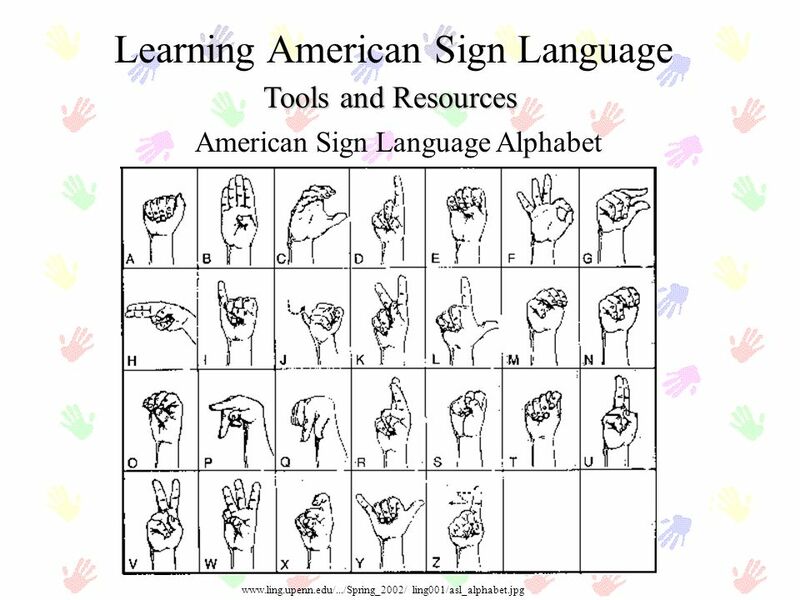 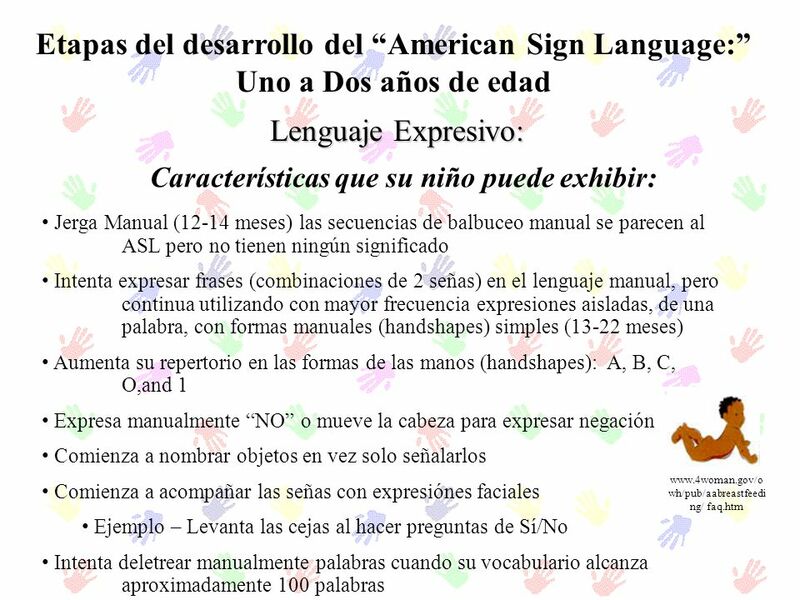 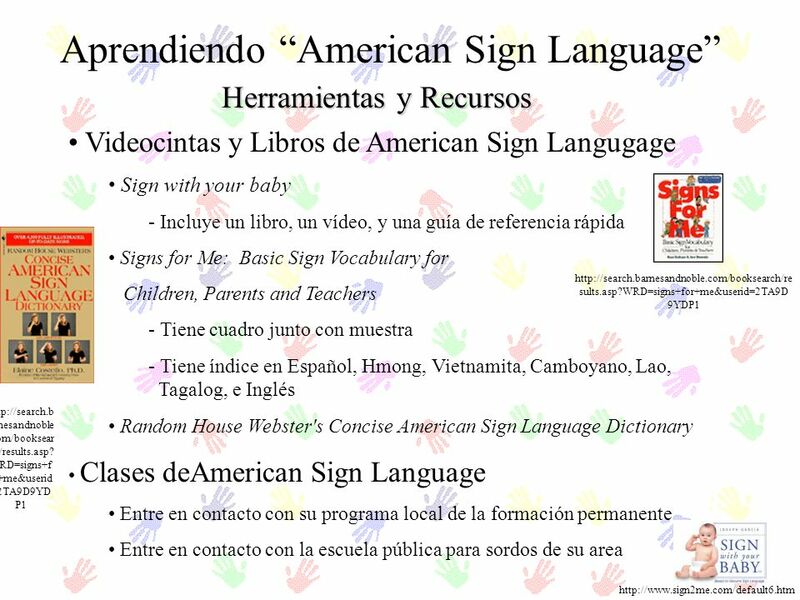 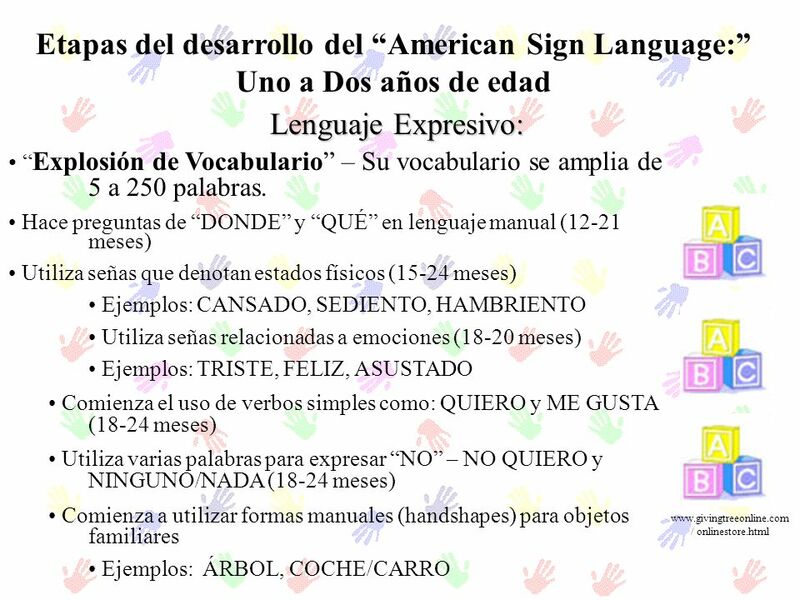 American Sign Language is one mode through which deaf children learn language. 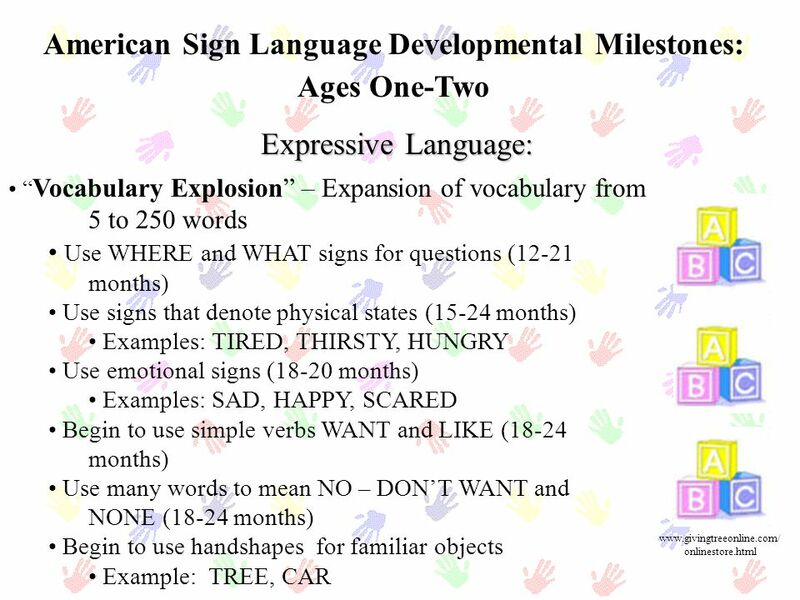 Exposure to consistent, proficient language users facilitates language development in deaf children. 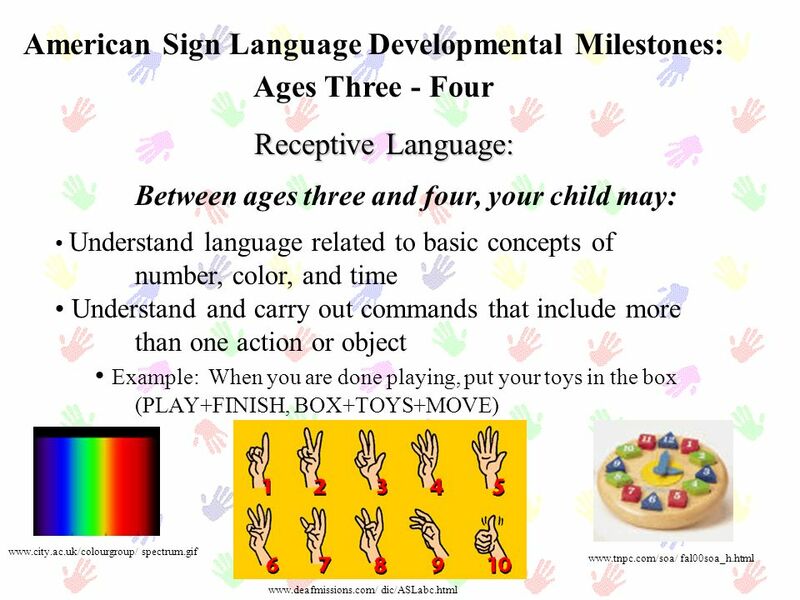 We will look at the developmental milestones of deaf children who have consistent, proficient models for language, the importance of parent-child interactions in the development of language, strategies to make the environment more visually accessible to your child, and available resources for beginning your American Sign Language journey. 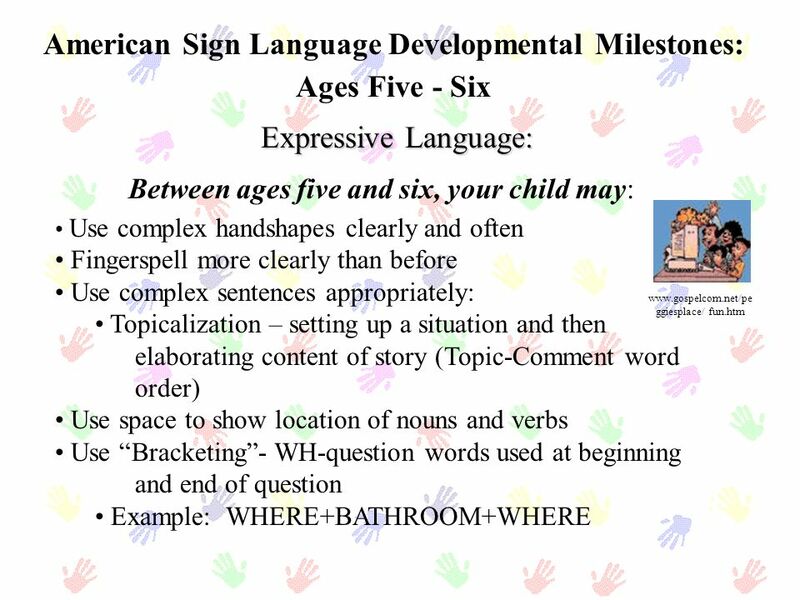 Motherese/Fatherese What is Motherese? 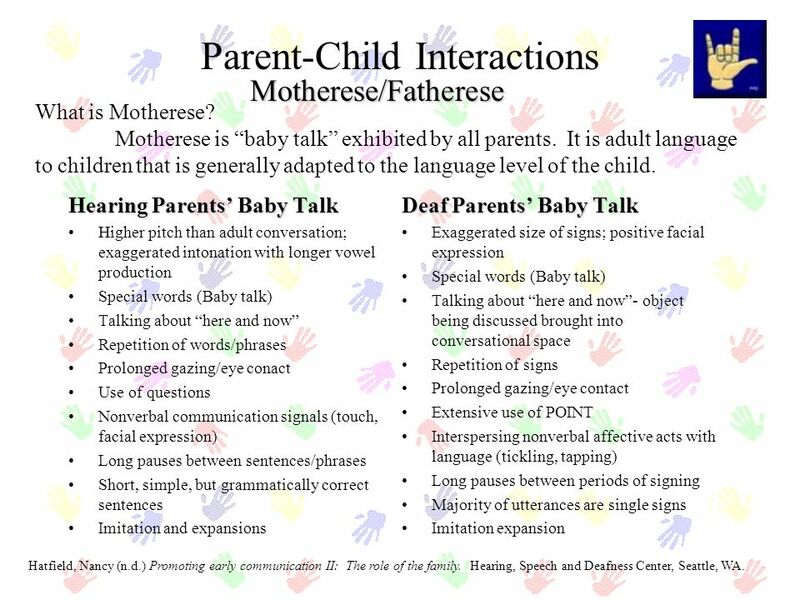 Motherese is “baby talk” exhibited by all parents. 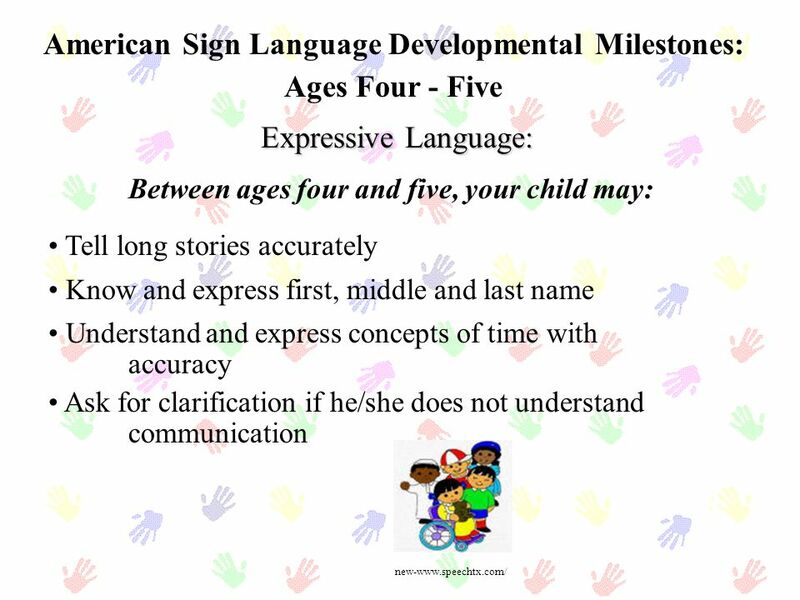 It is adult language to children that is generally adapted to the language level of the child. 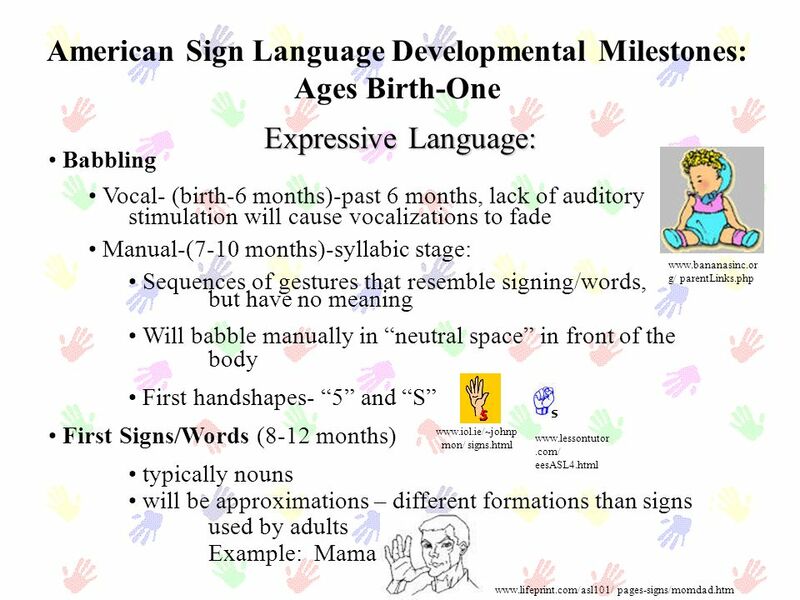 Hearing Parents’ Baby Talk Higher pitch than adult conversation; exaggerated intonation with longer vowel production Special words (Baby talk) Talking about “here and now” Repetition of words/phrases Prolonged gazing/eye conact Use of questions Nonverbal communication signals (touch, facial expression) Long pauses between sentences/phrases Short, simple, but grammatically correct sentences Imitation and expansions Deaf Parents’ Baby Talk Exaggerated size of signs; positive facial expression Special words (Baby talk) Talking about “here and now”- object being discussed brought into conversational space Repetition of signs Prolonged gazing/eye contact Extensive use of POINT Interspersing nonverbal affective acts with language (tickling, tapping) Long pauses between periods of signing Majority of utterances are single signs Imitation expansion Hatfield, Nancy (n.d.) Promoting early communication II: The role of the family. 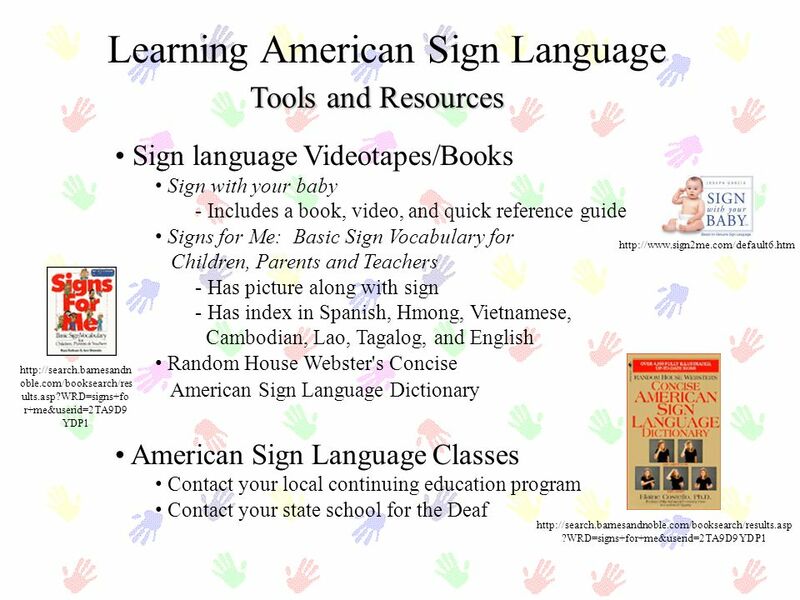 Hearing, Speech and Deafness Center, Seattle, WA. 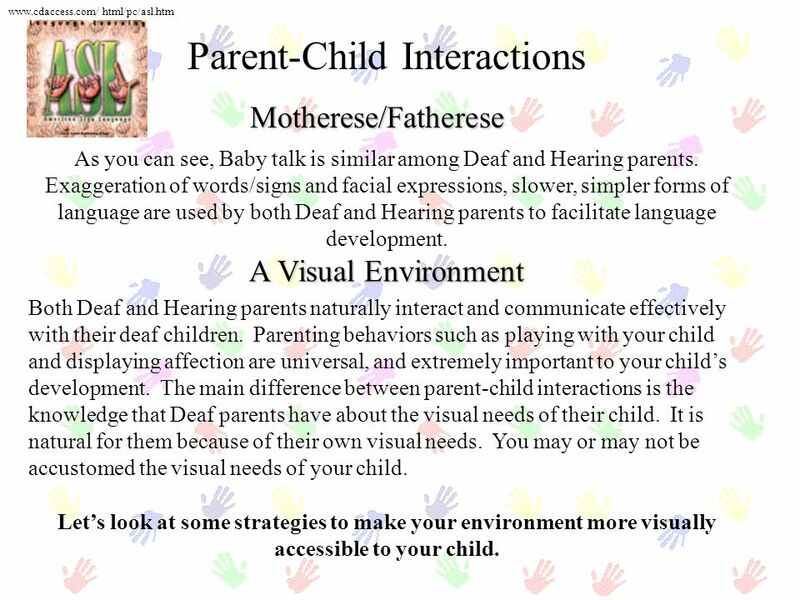 html/pc/asl.htm Parent-Child Interactions Motherese/Fatherese As you can see, Baby talk is similar among Deaf and Hearing parents. 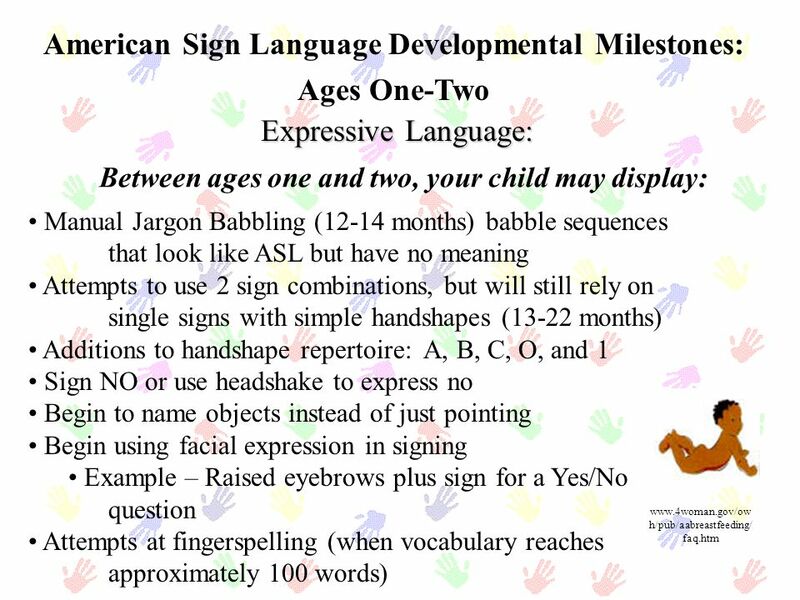 Exaggeration of words/signs and facial expressions, slower, simpler forms of language are used by both Deaf and Hearing parents to facilitate language development. 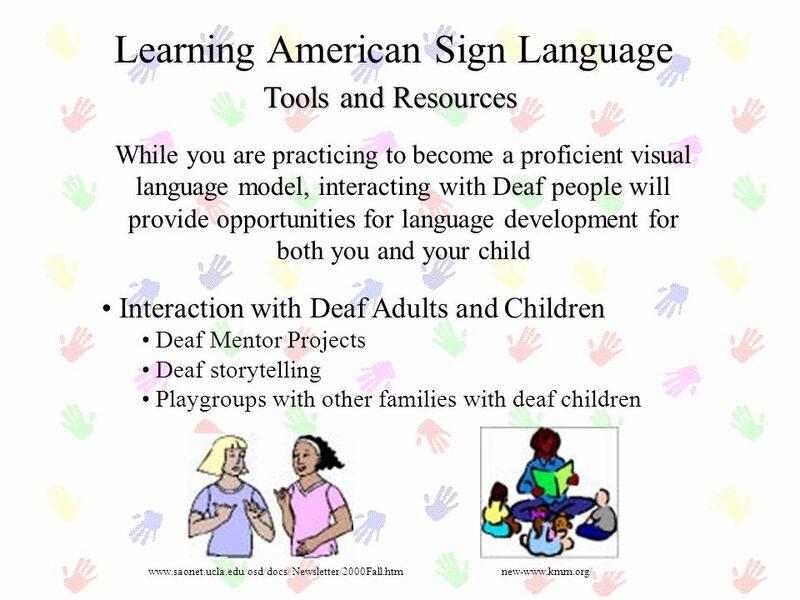 A Visual Environment Both Deaf and Hearing parents naturally interact and communicate effectively with their deaf children. 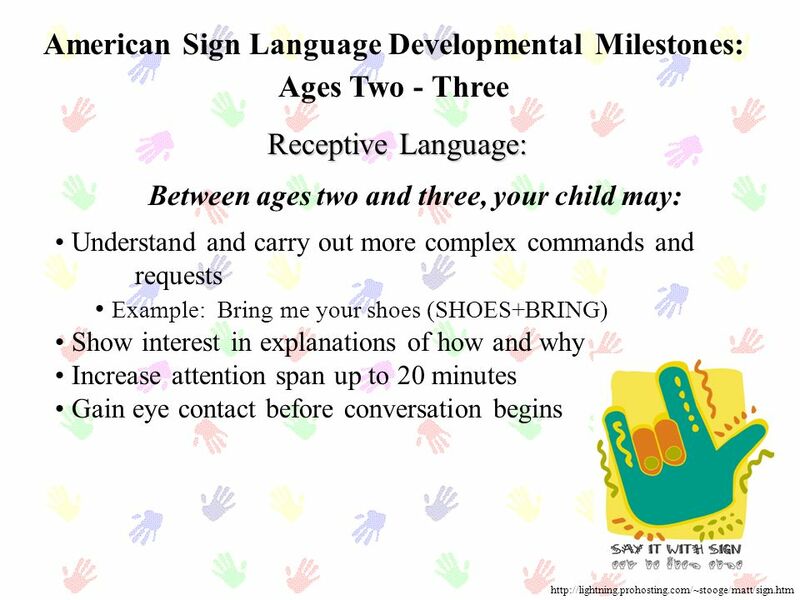 Parenting behaviors such as playing with your child and displaying affection are universal, and extremely important to your child’s development. 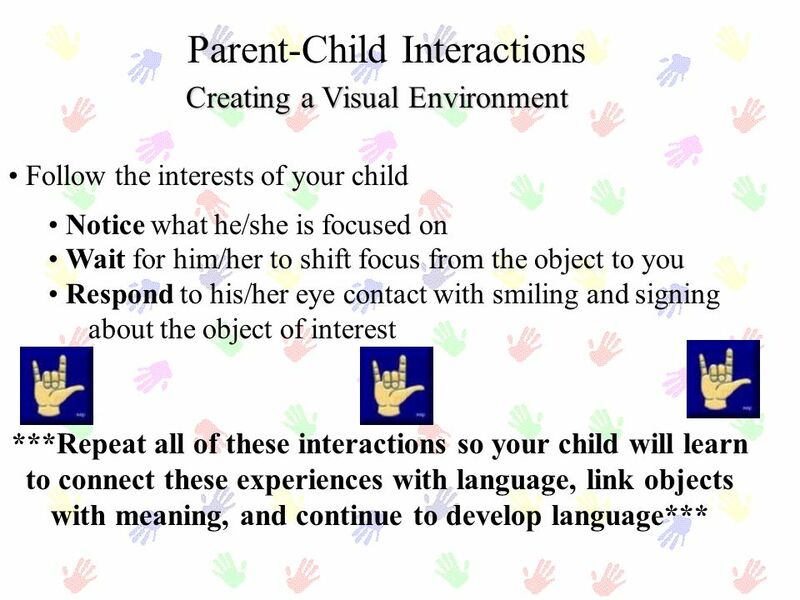 The main difference between parent-child interactions is the knowledge that Deaf parents have about the visual needs of their child. 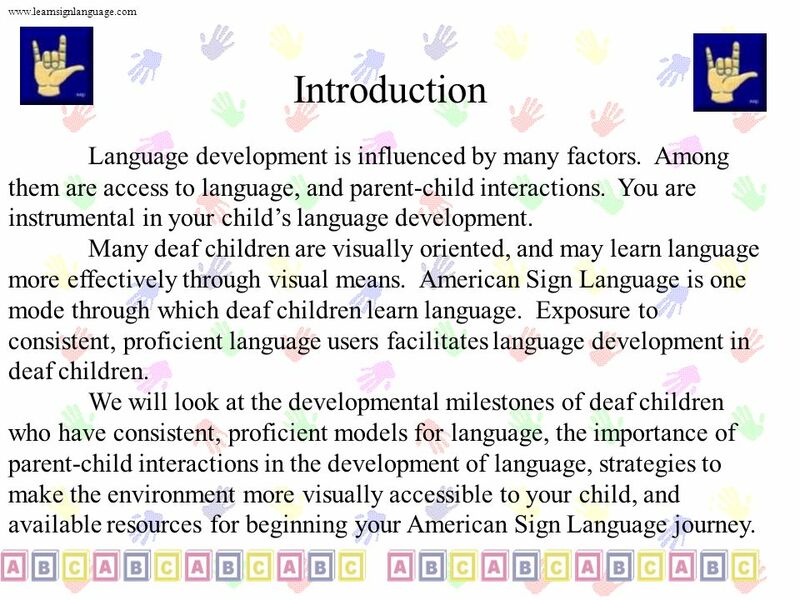 It is natural for them because of their own visual needs. 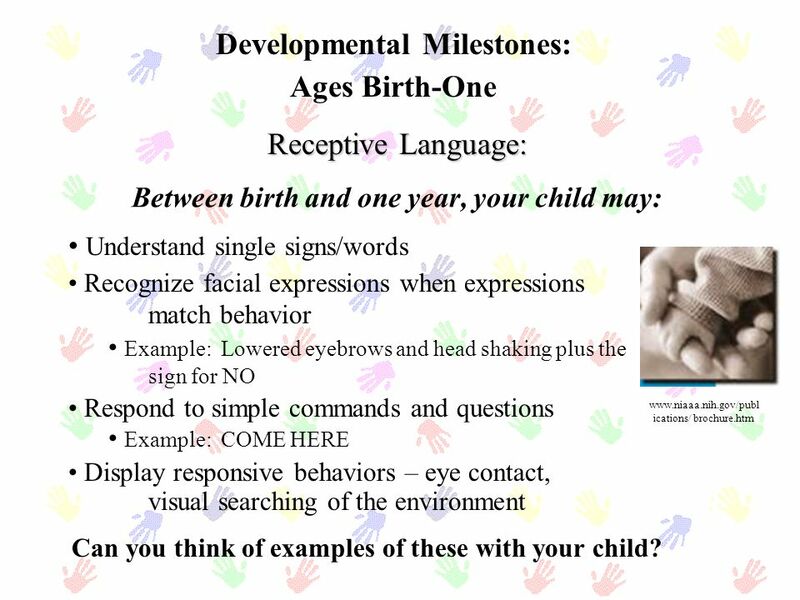 You may or may not be accustomed the visual needs of your child. 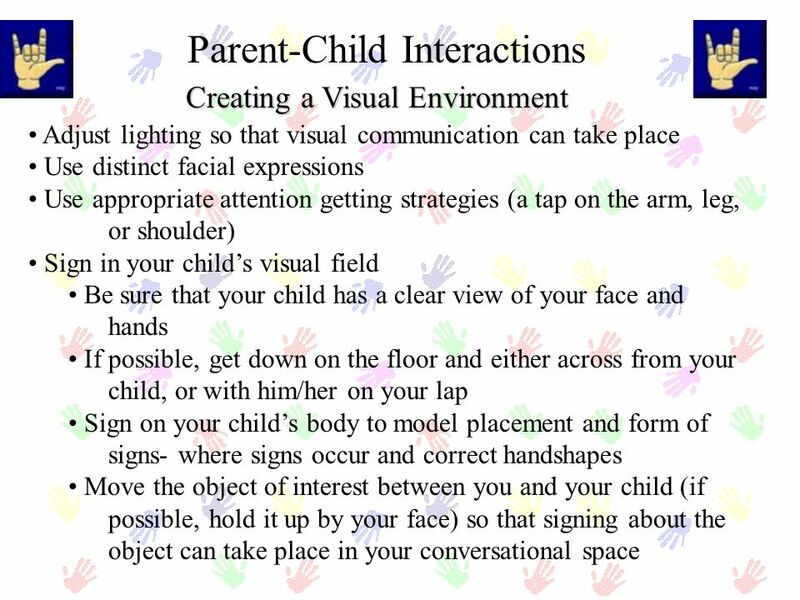 Let’s look at some strategies to make your environment more visually accessible to your child. 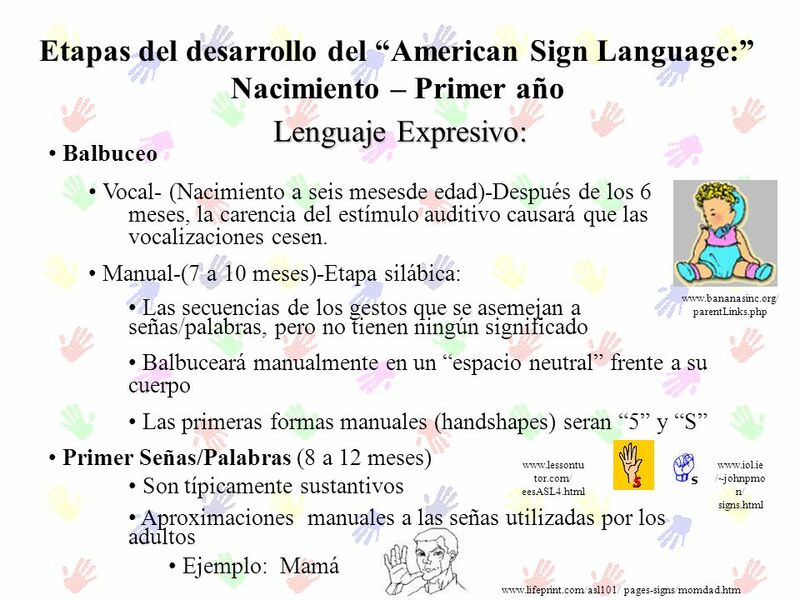 Maternalismo/Paternalismo ¿Cuál es Maternalismo? 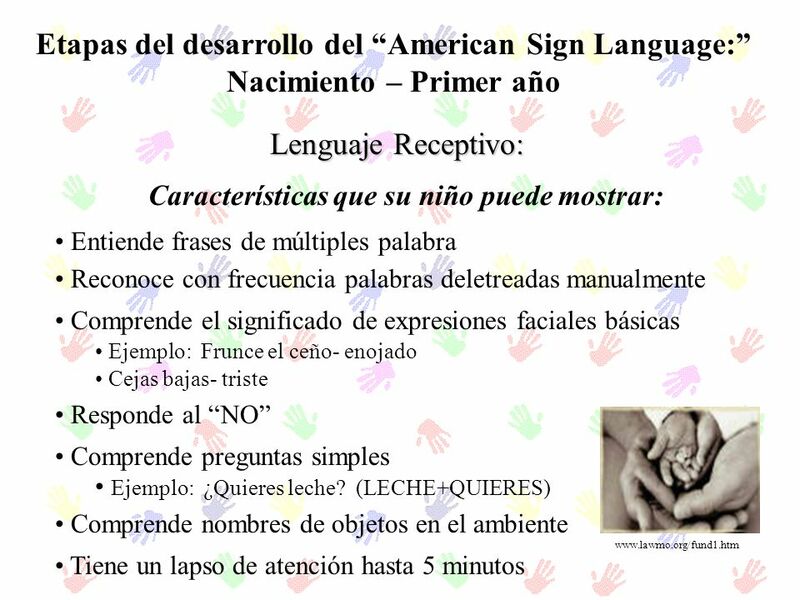 Maternalismo es la forma de hablar o chiquiteo (Baby talk) utilizado por todo padre para adaptarse al nivel del lenguaje de su niño. 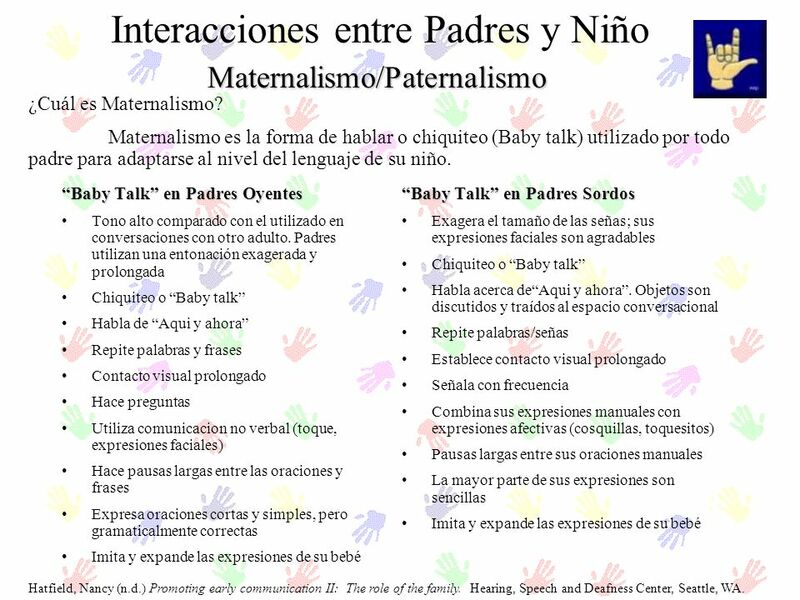 “Baby Talk” en Padres Oyentes Tono alto comparado con el utilizado en conversaciones con otro adulto. 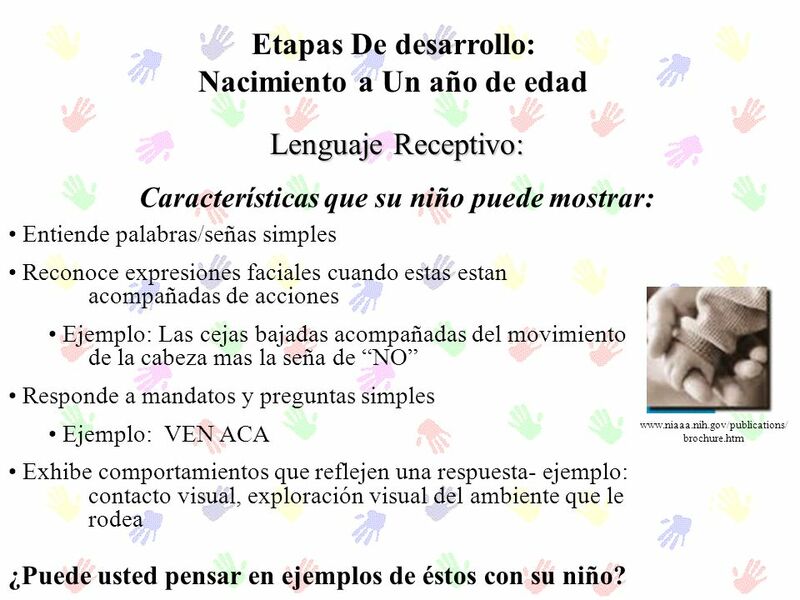 Padres utilizan una entonación exagerada y prolongada Chiquiteo o “Baby talk” Habla de “Aqui y ahora” Repite palabras y frases Contacto visual prolongado Hace preguntas Utiliza comunicacion no verbal (toque, expresiones faciales) Hace pausas largas entre las oraciones y frases Expresa oraciones cortas y simples, pero gramaticalmente correctas Imita y expande las expresiones de su bebé “Baby Talk” en Padres Sordos Exagera el tamaño de las señas; sus expresiones faciales son agradables Chiquiteo o “Baby talk” Habla acerca de“Aqui y ahora”. 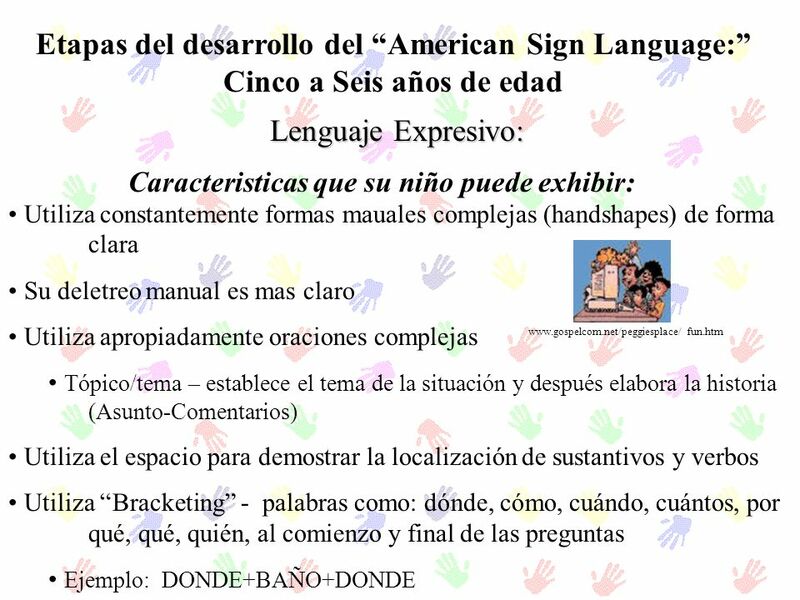 Objetos son discutidos y traídos al espacio conversacional Repite palabras/señas Establece contacto visual prolongado Señala con frecuencia Combina sus expresiones manuales con expresiones afectivas (cosquillas, toquesitos) Pausas largas entre sus oraciones manuales La mayor parte de sus expresiones son sencillas Imita y expande las expresiones de su bebé Hatfield, Nancy (n.d.) Promoting early communication II: The role of the family. 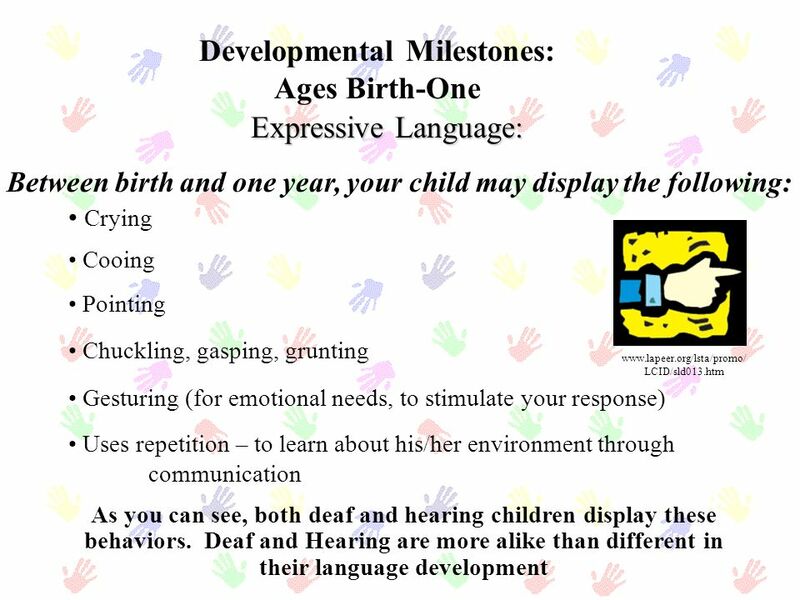 Hearing, Speech and Deafness Center, Seattle, WA. 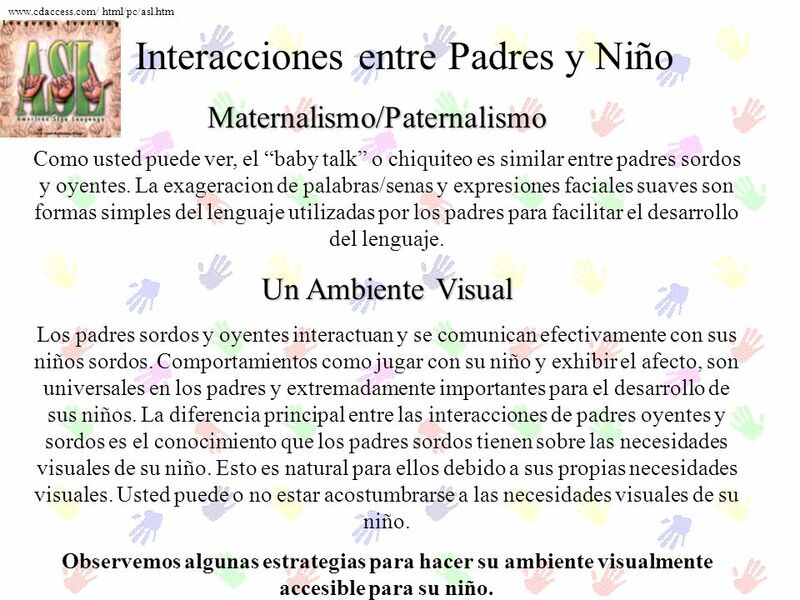 html/pc/asl.htm Interacciones entre Padres y Niño Maternalismo/Paternalismo Como usted puede ver, el “baby talk” o chiquiteo es similar entre padres sordos y oyentes. 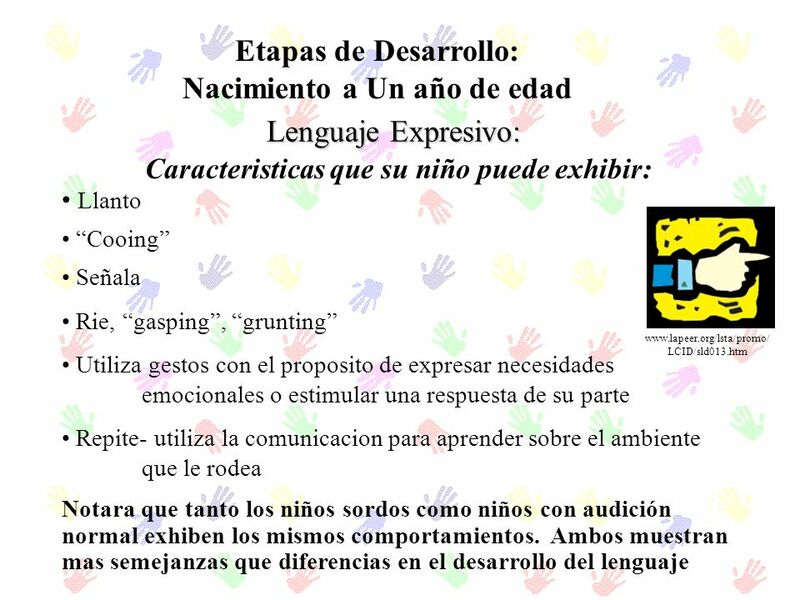 La exageracion de palabras/senas y expresiones faciales suaves son formas simples del lenguaje utilizadas por los padres para facilitar el desarrollo del lenguaje. 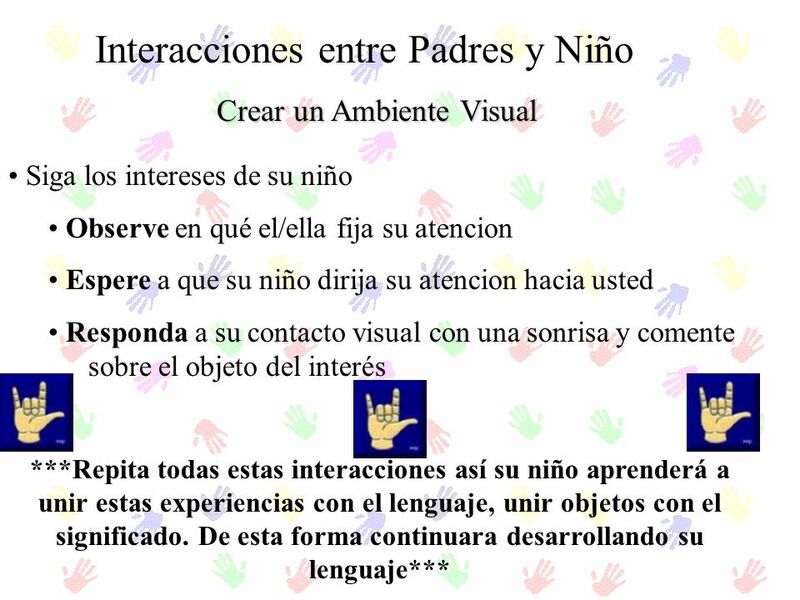 Un Ambiente Visual Los padres sordos y oyentes interactuan y se comunican efectivamente con sus niños sordos. 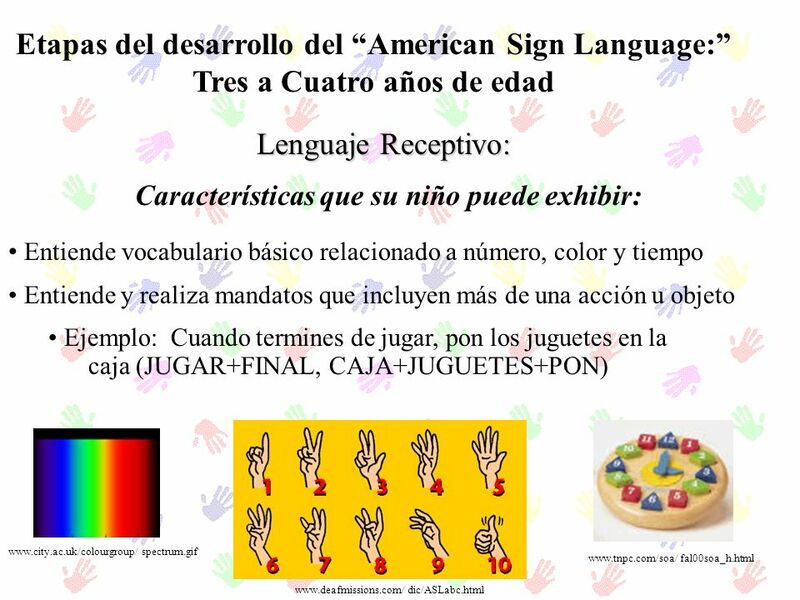 Comportamientos como jugar con su niño y exhibir el afecto, son universales en los padres y extremadamente importantes para el desarrollo de sus niños. 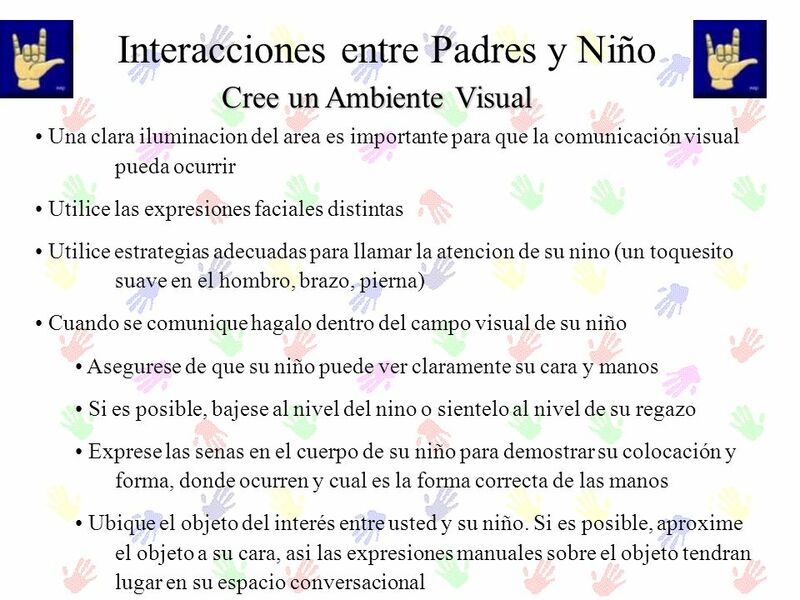 La diferencia principal entre las interacciones de padres oyentes y sordos es el conocimiento que los padres sordos tienen sobre las necesidades visuales de su niño. 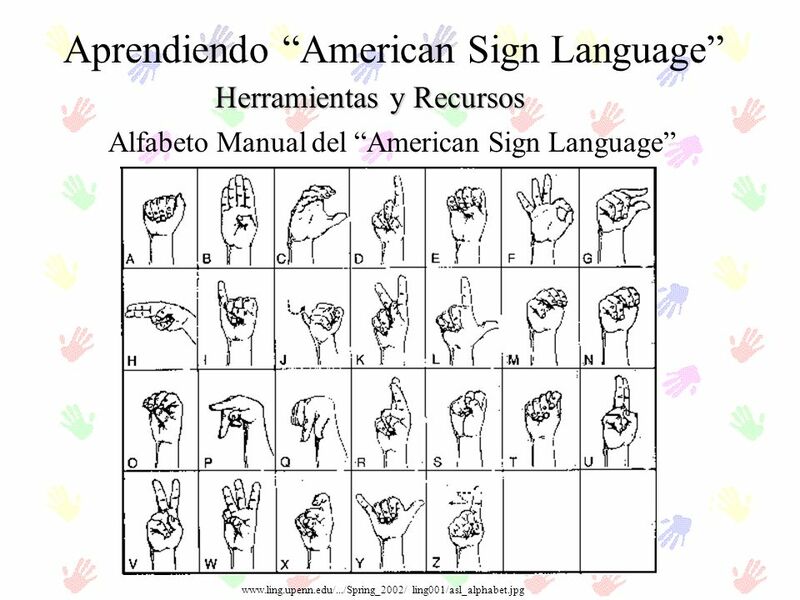 Esto es natural para ellos debido a sus propias necesidades visuales. 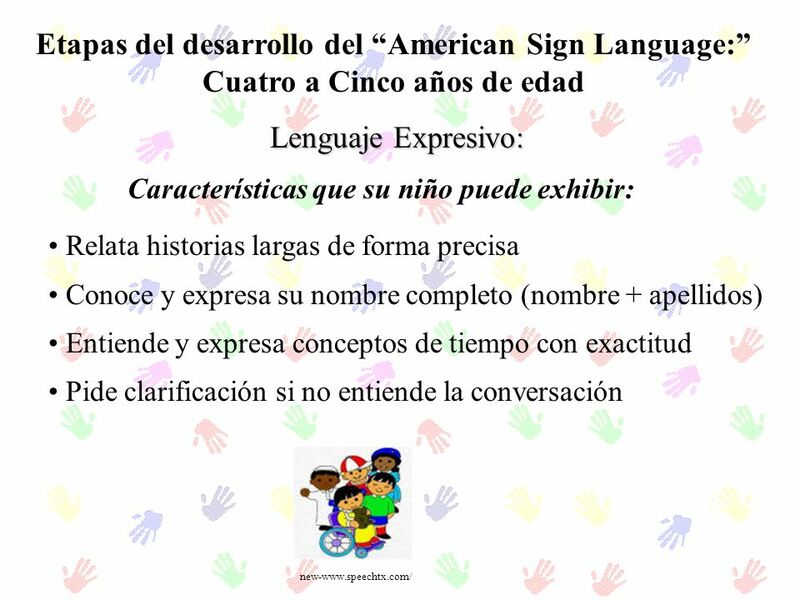 Usted puede o no estar acostumbrarse a las necesidades visuales de su niño. 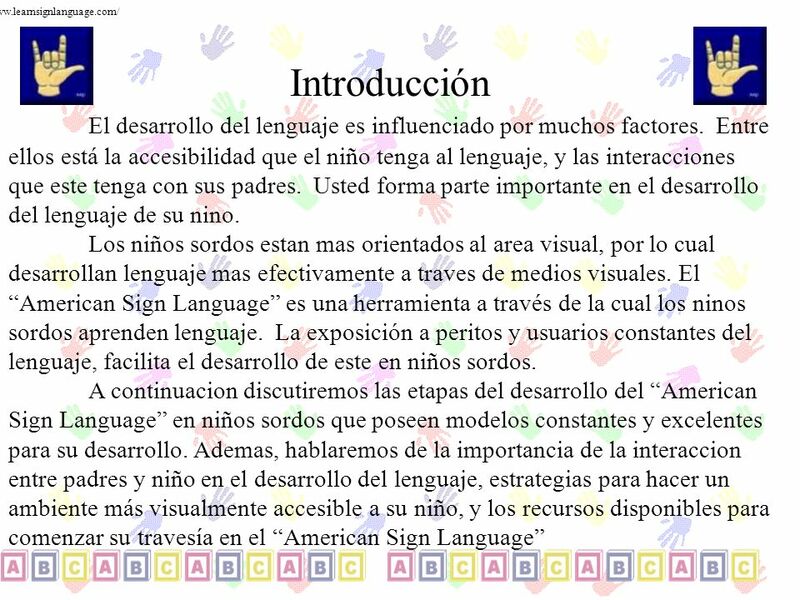 Observemos algunas estrategias para hacer su ambiente visualmente accesible para su niño. 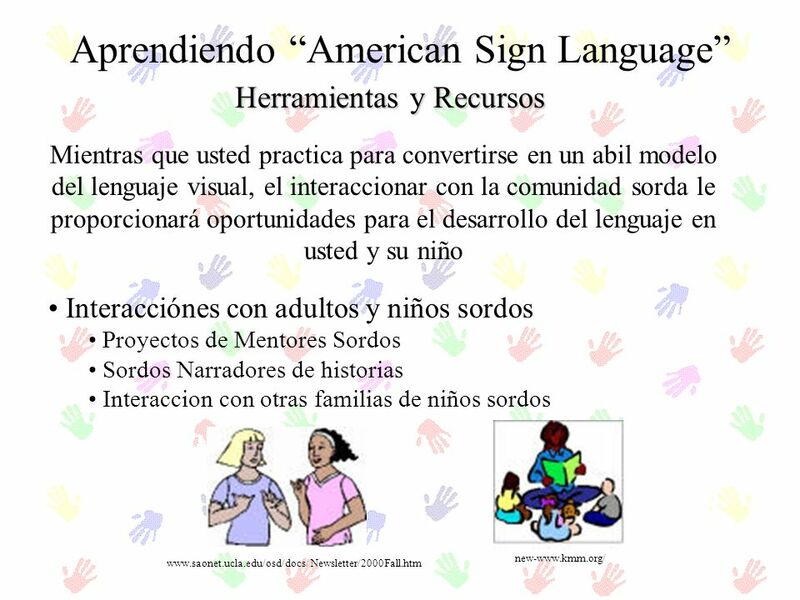 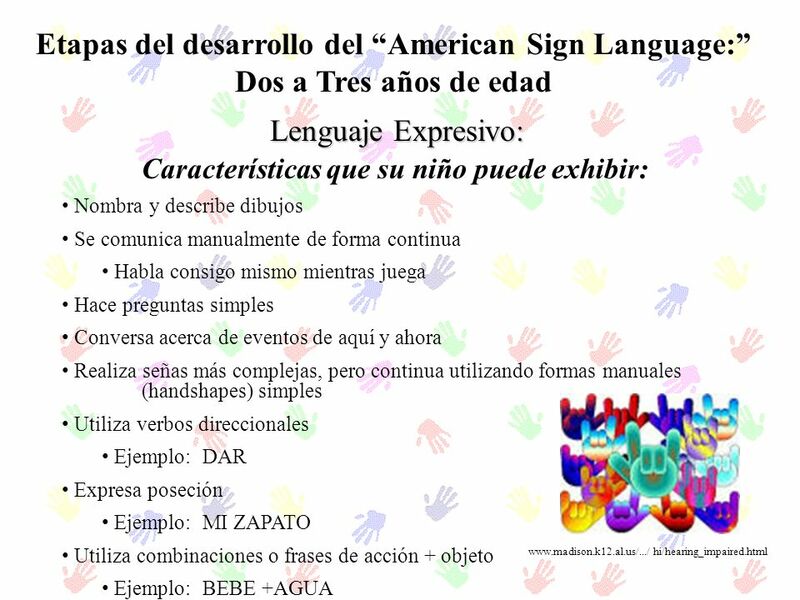 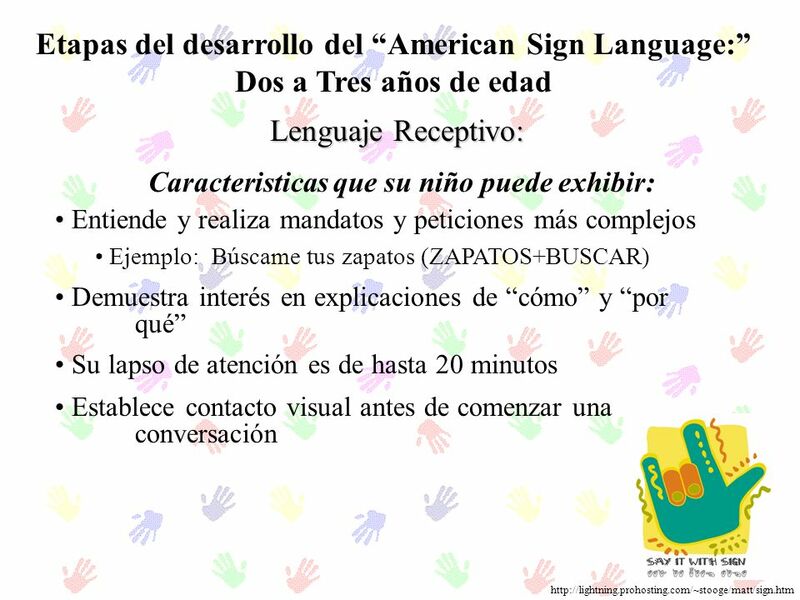 Descargar ppt "Product Title:Communicating with your child in sign:American Sign Language Development from Birth to Six Age of Intended Audience: Parents/Guardians/Caregivers."